Gieffe Racing offers a complete range of brake calipers AP Racing to meet the needs of any car and any type of race; rally, touring, GT cars, single seater, classic cars and road cars. And very adaptable and economic series PRO5000 R and PRO5000 + are also available at competitive prices. The range of AP Racing brake discs meets all the needs of the racing world. Depending on your needs you can choose between ventilated or solid discs, with or without integral bell, and between various types of disc face: plain, grooved, with curved grooves, radiuses or cross drilled or with J Hook design grooves. 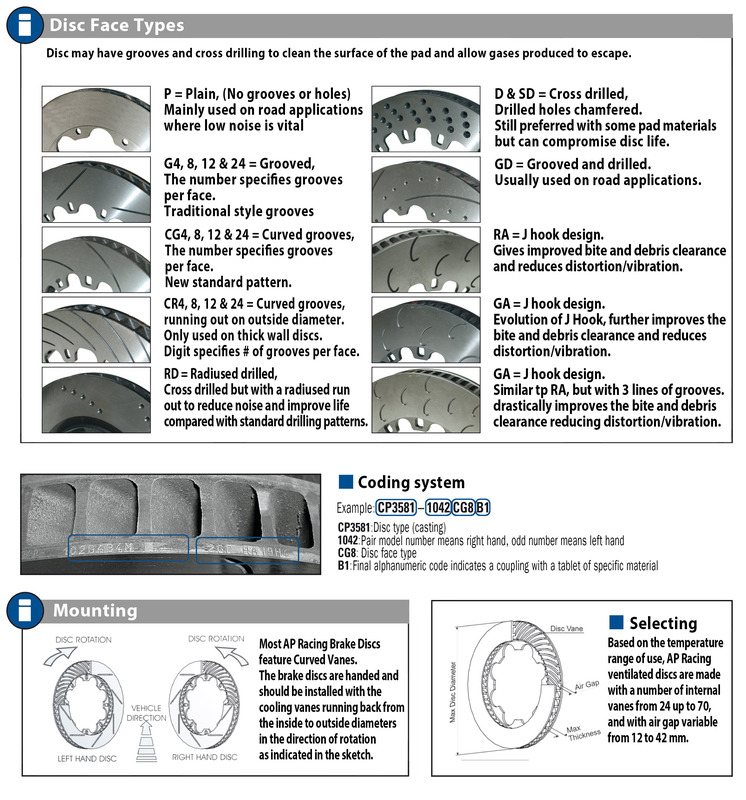 Also be sure to check the recommendations for the selection and installation of AP Racing discs.